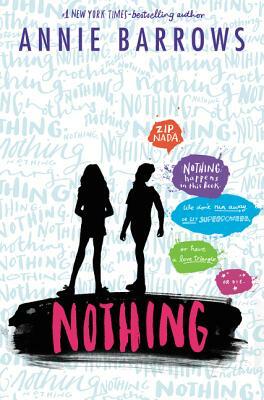 From Annie Barrows, the acclaimed #1 New York Times–bestselling coauthor of The Guernsey Literary and Potato Peel Pie Society and the author of the award-winning and bestselling Ivy + Bean books, this teen debut tells the story of Charlotte and Frankie, two high school students and best friends who don’t have magical powers, fight aliens, crash their cars, get pierced, or discover they are royal. They just go to school. And live at home. With their parents. A great read for fans of Becky Albertalli, Louise Rennison, and Adi Alsaid. Nothing ever happens to Charlotte and Frankie. Their lives are nothing like the lives of the girls they read about in their YA novels. They don’t have flowing red hair, and hot romantic encounters never happen—let alone meeting a true soul mate. They just go to high school and live at home with their parents, who are pretty normal, all things considered. But when Charlotte decides to write down everything that happens during their sophomore year—to prove that nothing happens and there is no plot or character development in real life—she’s surprised to find that being fifteen isn’t as boring as she thought. It’s weird, heartbreaking, silly, and complicated. And maybe, just perfect.